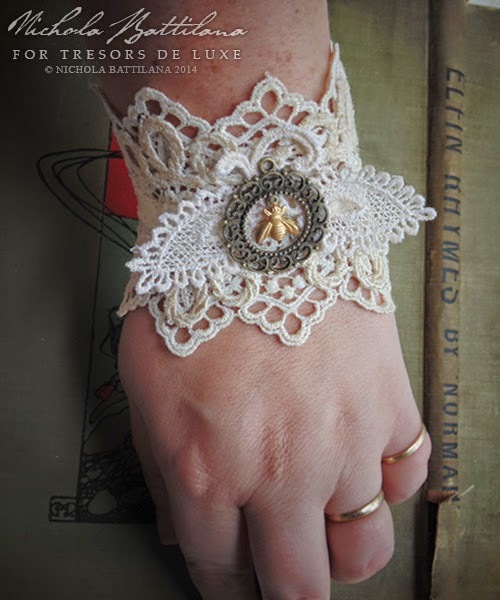 I've been waiting to create this project since joining the Tresors de Luxe design team. 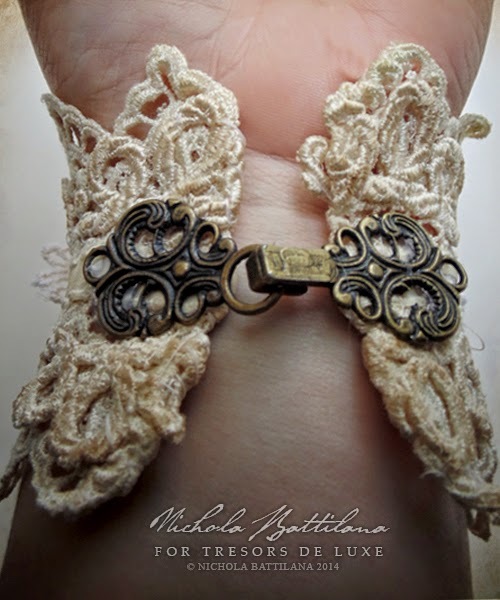 A pretty wrist cuff made with those fabulous laces! 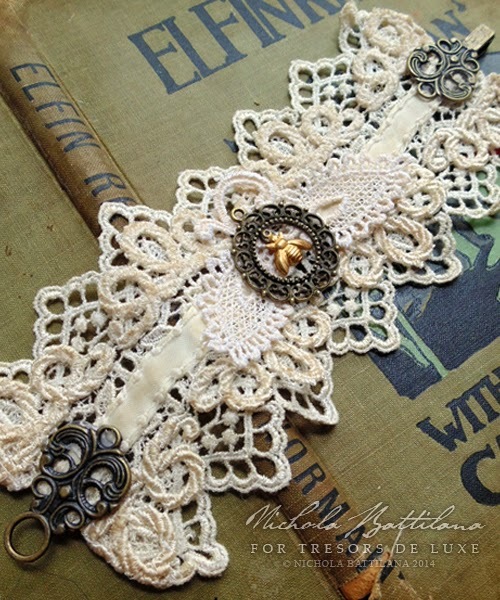 I've used three types of lace in this piece, layering them all together and added a snip of ivory ribbon. The piece has been aged with a bit of coffee so that I can make up a story about this being found in the bottom drawer of a dusty dresser. I've stiffened the cuff with slightly with a light application of starch. 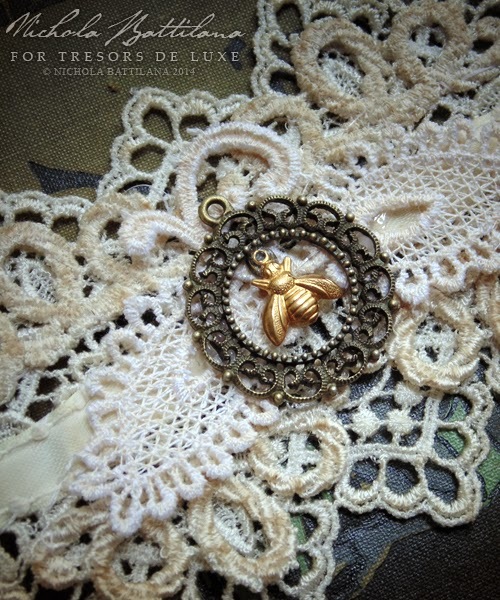 I think this buzzy little bee charm is a perfect Victorian-esque accent. And the addition of this filagree clasp closure is the perfect finishing touch. What a beautiful make, I adore the bee charm over the layers and the wonderful clasp. That is so feminine and sweet. I really like the design. Thanks for the inspiration!